An airway clearance device has helped save a second care home resident’s life in five weeks. Dechoker UK said an 87-year-old man at Oakdale Care Group’s Timken Grange Care Home in Northampton had been prevented from choking on a piece of food by its device. 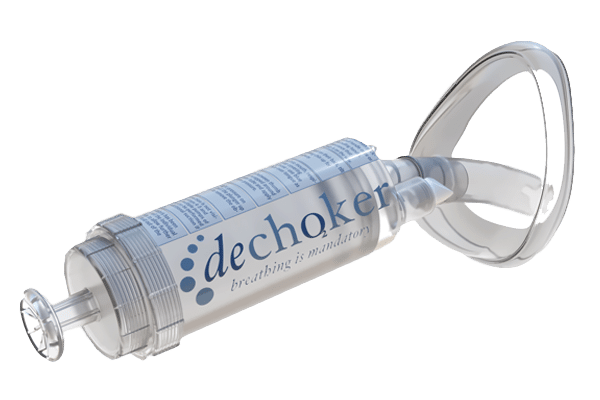 The news comes after a Dechoker was used to prevent a woman choking at a New Care home in Manchester last month (see Airway clearance device saves resident’s life). New Care became the first to install Dechoker across all its homes earlier this year (see New Care is first in UK to install life-saving Dechoker across all its homes). Rachel Cadd, Timken Grange home manager, added: “We are delighted that our carers have been trained and comfortable with using the Dechoker. Oakdale announced that it had procured the Dechoker in April (see Oakdale Care Group signs up for anti-choking device). Orchard Care Homes became the latest provider to sign up for Dechoker in May (see Orchard Care Homes signs up for anti-choking device).